Perhaps more than any other, The Rescue is a serial that is more profoundly disturbing on the second viewing than on the first. Should you wish to watch this story without forewarning of its contents, then beware. Spoilers are contained within. Taken at face value, The Rescue is a somewhat innocuous story. 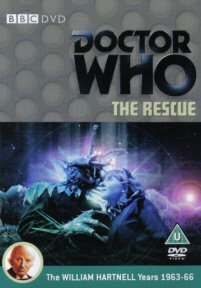 One of the few two part serials in classic Who, The Rescue was originally broadcast between the Dalekmania inducing Invasion of Earth, and the Carry On style slapstick comedy of The Romans. 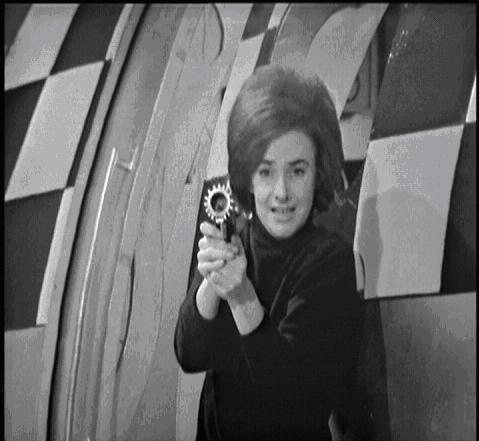 The Doctor’s grand-daughter, Susan, had left Doctor Who at the conclusion of The Dalek Invasion of Earth to commence a new life with the urban guerrilla, David Campbell. The purpose of this story was to introduce the new companion, Vicki, an orphan survivor of a spaceship crash on the planet Dido. 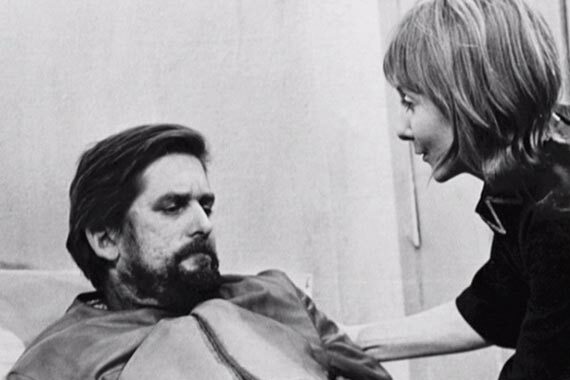 Only two crew members of the ship remain at the serial’s commencement, Vicki and Bennett, an apparently disabled man in his 30s or 40s who was played by Australian actor, Ray Barrett. 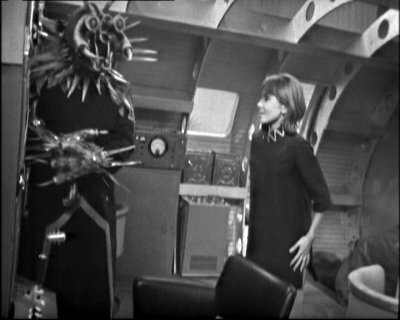 The other crew members who had survived the crash, it was believed, had perished in an explosion when they had attended a “meet and greet” with the residents of the planet, Dido. It was in this explosion that Bennett is said to have sustained an injury to his legs that left him all but bedridden. Vicki was the only crew member who didn’t attend the function as she was suffering from a fever at the time. As the only able bodied survivor, Vicki takes on the role of caring for Bennett, who remains in his cabin most of the time. Menacing the survivors is a grotesque monster called Koquillion. 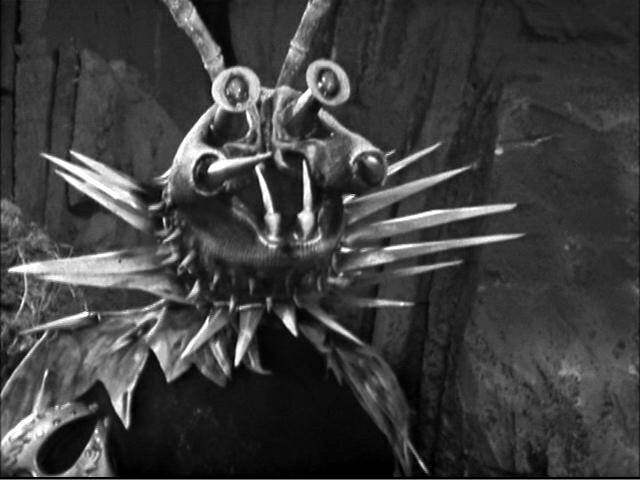 Although humanoid in body form, Koquillion’s head and hands are a jumble of large and pointed spikes. Vicki, however, is only ever alone when sees the monster. Bennett has not witnessed the beast in the presence of Vicki, however appears more than knowledgeable about its threat. He is quick to remind Vicki to watch out for Koquillion. He’ll be around somewhere, advises Bennett, and he will kill both of them if he learns about the rescue mission which is due to shortly arrive. Koquillion plays a sinister game of mind control and psychological abuse on Vicki. He arrives at the ship intermittently and tells her that she is not to wander within 50 yards of the vessel. Koquillion claims that the local people are warlike and that he alone can save Vicki and Bennett from his own people. “I am your only protection!” exclaims Koquillion, “You should be grateful”. This psychological warfare has left Vicki confused and contradictory. One moment she is scared that Koquillion could keep her on Dido forever, yet when Barbara looks at her in a concerned manner she immediately snaps “You’re sorry for me, aren’t you? I’m perfectly all right, you know. I don’t care if nobody ever comes. I’m fine. I’m perfectly fine”. Clearly Vicki is anything but fine. Ordinarily left with no company other than the abrupt and irascible Bennett, Vicki takes solace in her friendship with a Didonian, a reptilian like native of the planet. Whilst collecting water in jerry-cans her legless companion, whom Vicki has named Sandy, approaches. Fearful that it is about to pounce on Vicki, Barbara shoots it, not withstanding Vicki’s protestations. 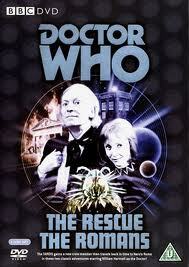 It subsequently takes the Doctor’s intervention to heal the rift that necessarily emerges between Vicki and Barbara. Vicki has been living on tenterhooks, waiting always for the unexpected arrival of Koquillion. His psychological control of her is immense, notwithstanding that there has been no apparent physical violence. Vicki’s predicament is not dissimilar to that of a victim of domestic violence, particularly someone subject to verbal abuse and controlling behaviour. The perpetrator may appear the perfect partner to outsiders as he or she is cautious to ensure that there are no witnesses to their behaviour. The effect of this psychological violence is therefore all that much greater on the victim, who can unfortunately underplay the effects on them for the shame of revelation, or fear of not being believed. 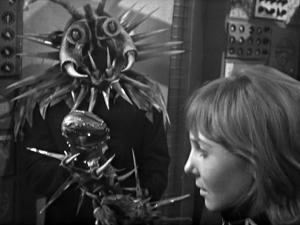 It is only near the story’s end that the Doctor reveals that Koquillion and Bennett are one of the same. Bennett has been leaving the ship through a hidden escape hatch in the floor of his cabin, donning the Koquillion gear, and terrorising Vicki. It is this fact that makes The Rescue all that more unsettling. Bennett had killed a crew member on the spaceship and had been arrested. Prior to his crime being radioed to Earth, the ship crashed. To conceal his crime he reasoned that he must kill all of the crew members, save for Vicki who was unaware of his crime. It was Bennett who arranged the explosion using the ship’s armaments, which killed the crew (including Vicki’s father) and the people of Dido who were attending the “meet and greet”. “You destroyed a whole planet to save your own skin”, said the Doctor, “You’re insane”. The masquerade as Koquillion was to scare Vicki into believing that the Didonians were a terrible people. She could therefore be assured to support his story that the blast that had killed the crew was caused by the Dido people. Bennett met his end, however, at the hands of two of the Didonians who unbeknownst to him, had survived the blast. The Doctor, meanwhile, is suffering from the psychological effects of Susan’s departure. For the first time ever he sleeps during the materialization of the Tardis. 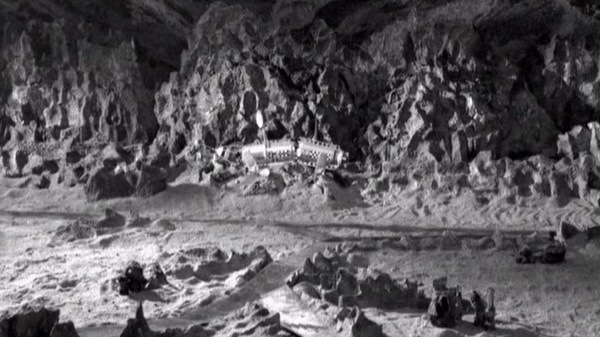 In fact, it is during this serial that the word “materialize” is used for the first time to indicate the landing of the Tardis. We also learn that the Tardis can travel through solid matter in flight. 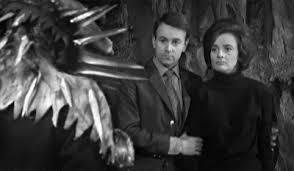 Barbara wonders whether they will see a new side to the Doctor, to which Ian responds by saying he’s not getting any younger. He then gesticulates in a manner so as to suggest that the Doctor is going senile. The Doctor also admits for the first time that he never obtained a medical degree, and even compliments Ian’s intelligence. The Doctor comforts Vicki upon telling her that Bennett murdered her father and offers to take her with them. 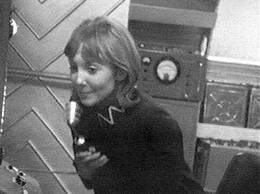 Ian and Barbara had simultaneously, but separately from the Doctor, also come to the conclusion that Vicki should depart Dido in the Tardis. 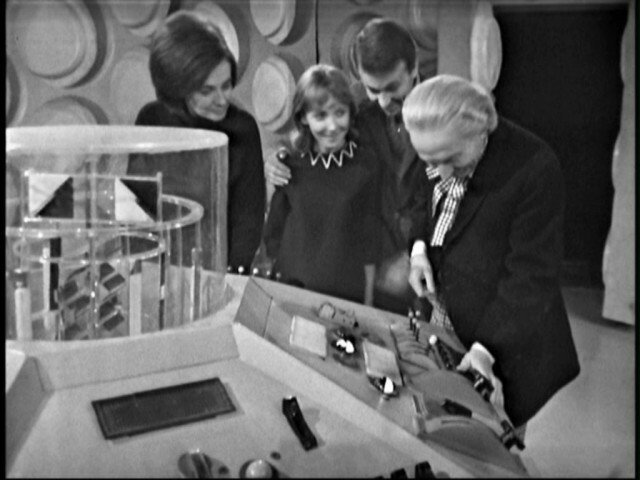 Promising her an abundance of adventure, Vicki accepts the Doctor’s invitation to travel in the “old box” which is bigger on the inside. What scars, if any, she bears from her ordeal remain to be seen. The orphaned girl from 2493 begins her exploits in time and space. I have only seen this serial once and I don’t think I picked up on just how creepy Bennett’s scheme is (insofar as its effects on Vicki) until I read your recap. Thanks for your comment. It really only was on the second viewing, once I knew that Bennett was Koquillion, that I twigged to the psychological warfare. It’s very easy to distance yourself from works of fiction, particularly when the perpetrators of violence are monsters. Once it’s revealed that the monsters are human, the fictional veil dissipates to some extent and you can begin to identify with the victims. Having read a great deal about domestic violence, Vicki’s plight very much resonated with me. I guess it’s only to be expected, given the era in which the serial was made, that the psychological effects on Vicki weren’t examined in later serials. 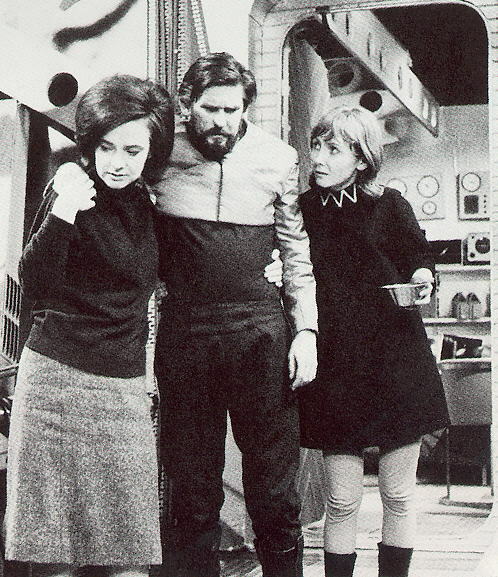 Despite having just learned that the man she’d been sharing a spaceship with, and caring for, was the psychotic murderer of her own father, Vicki appears unaffected, albeit a little bored, in the next serial, “The Romans”. Those are all good points. It is odd that Vicki’s captivity is never brought up again — but you’re probably right that it is a sign of the time in which the serial was made. The more I think about all the parallels you’ve raised, the more unsettling this episode is.